Opener piece created for recent issue of Scientific American Magazine (written by R. Douglas Fields). 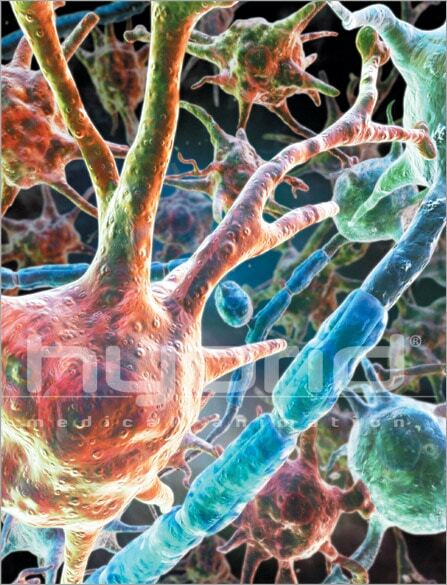 Glial cells outnumber neurons nine to one in the brain and there’s mounting evidence to suggest that they may be nearly as critical to thinking and learning as neurons are. The association cortex of Albert Einstein’s brain was found to have a much greater concentration than that found in an average individual.